You must know the reason why she is silent. 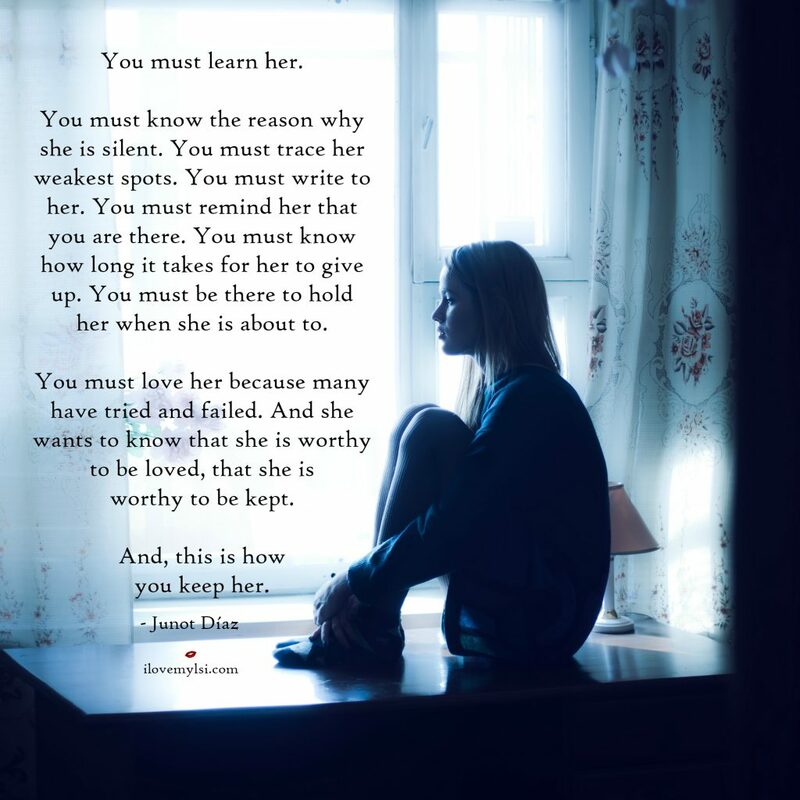 You must trace her weakest spots. You must write to her. You must remind her that you are there. You must know how long it takes for her to give up. You must be there to hold her when she is about to. You must love her because many have tried and failed. And she wants to know that she is worthy to be loved, that she is worthy to be kept. And, this is how you keep her. 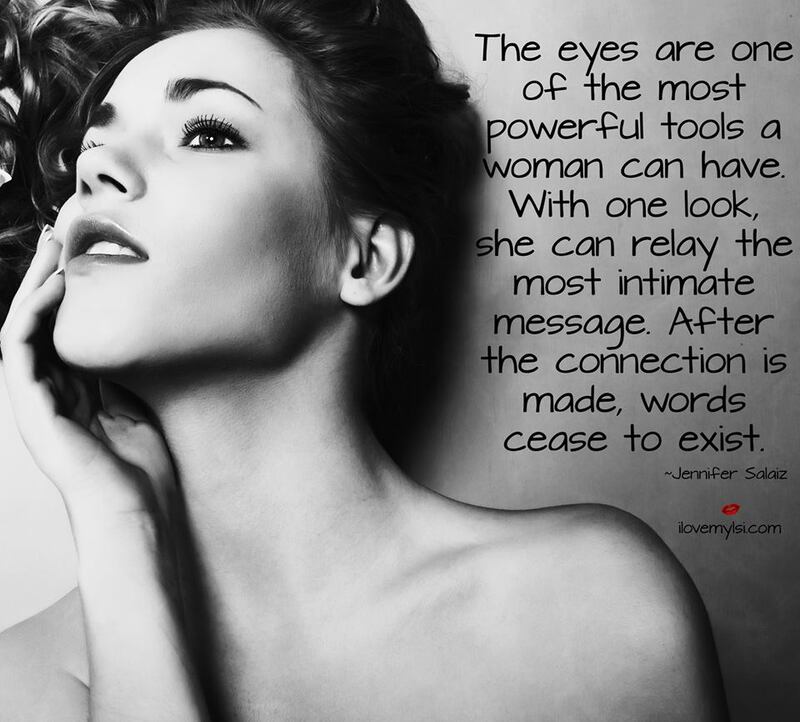 The eyes are one of the most powerful tools a woman can have. With one look, she can relay the most intimate message. After the connection is made, words cease to exist.